In Amish Country we didn't go out a lot... but one of the interesting things I had was lots of candy! The candy was really good. I got Sweet Tarts, Heath, Twix, Kit Kat, Tootsie Pop, Reese's, Whoppers, Almond Joys... stuff like that. If I was going to say the whole list it would probably be 10 feet long! We also had delicious cheeseburgers at our campsite. 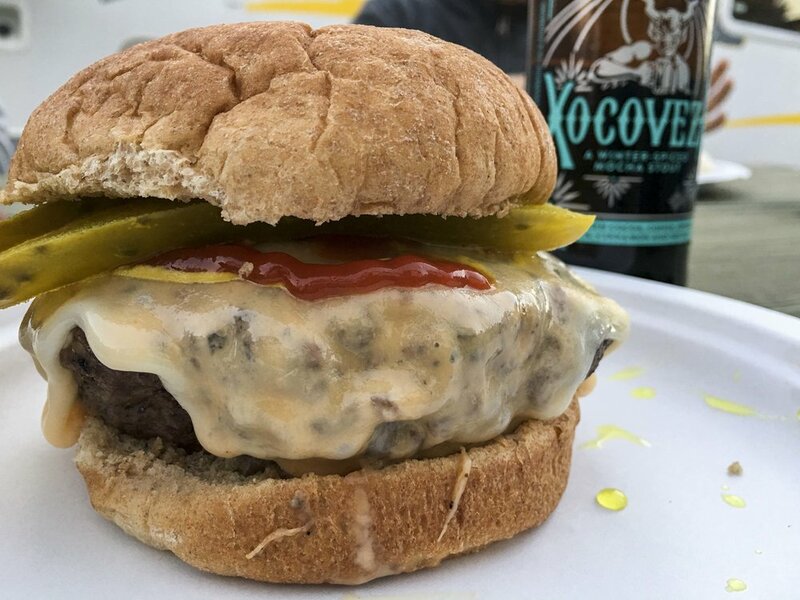 One of our favorite things to eat when we camp is cheeseburgers. I like mine plain, but my mom and dad like lots of toppings!